Make thank you cards to match your party and invitation theme! Throwing a baby shower? Planning a wedding? Inevitably after the excitement of the big event there is still one more step you can hardly avoid - the thank you card! Make them yourself and you will have the opportunity to match your cards to your invitations as well as your event's theme. Sure, you could easily just as soon run out and buy some blank thank you cards to fill out and pop right in the mail. It would certainly make things easier. 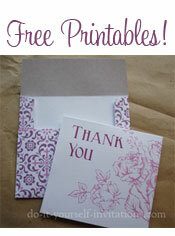 Make your own thank you notes with these Free printable thank you cards. The printable PDF even comes with matching DIY envelopes! So cute and easy to make! 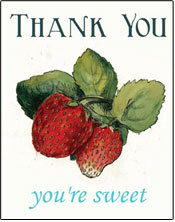 Print free vintage thank you cards with this template. There are two different designs available and more to come! Easy to make thank you cards and ideas. 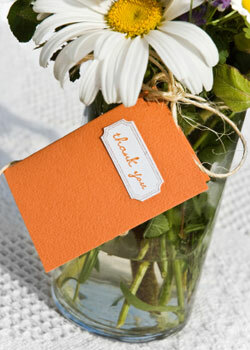 Creative ideas for making your own custom DIY thank you cards. 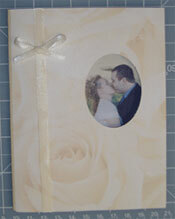 Make your own photo wedding thank you cards. Make Homemade cards or design your own and have them printed. Makes for a wonderfully personalized display of gratitude. 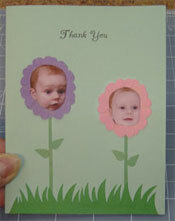 How to make a unique handmade baby gift thank you card. Super cute cards made with paper punches and baby picture print outs. A thank you to remember! For more help on writing thank you cards check out Thank-you-note-samples.com - Everything to do with business and personal thank you notes: how to write them, etiquette, info on stationery, online resources, and more. Also, a form where people can request thank you notes custom-written just for them, free.